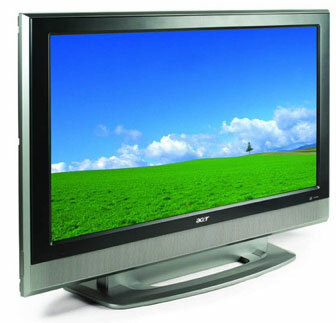 A liquid crystal display (LCD) is a flat and thin panel, used for displaying information on watches, phones, monitors for computers, televisions and numerous other electronic devices. Among its major features are its lightweight construction, portability, and ability to be produced in much larger screen sizes than are practical for the construction of cathode ray tube (CRT) display technology. Like many other technological gadgets, the modern LCD is not an invention of a single man. In 1888 the Austrian botanist and chemist Friedrich Richard Kornelius Reinitzer (1857-1927) (see the left image), experimenting with cholesteryl benzoate extracted from carrots, discovered a strange behavior of what would later be called liquid crystals. He published his findings at a meeting of the Vienna Chemical Society in May, 1888. 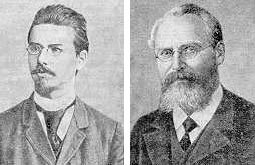 Later for the explanation of their behavior he collaborated with the german physicist Otto Lehmann (1855-1922) (see the right image), who actually devised the name "liquid crystals" in his 1904 work, named "Flüssige Kristalle" (Liquid Crystals), an in-depth study of the phenomena with many illustrations of the equipment used, drawings of the crystal structures and photographs taken through the microscope. Their discovery received plenty of attention at the time, but no practical uses were apparent and the interest dropped soon. In 1911 the french professor of mineralogy Charles-Victor Mauguin (1878–1958) made the first experiments of liquids crystals, confined between plates in thin layers. First practical application of the liquid crystals happened in 1936, when the Marconi Wireless Telegraph Company patented his Liquid Crystal Light Valve. Several other inventors and companies worked on the development of LCDs until 1971, when the company ILIXCO (now LXD Incorporated) produced the first LCDs. In 1972, the first active-matrix liquid crystal display panel was produced in the USA by T. Peter Brody. So what is a LCD display? An excellent animated tutorial for how LCDs work, from the basic concepts of how electronic images are created in a liquid crystal display to the optical physics behind it all, can be seen on the 3M Company site.